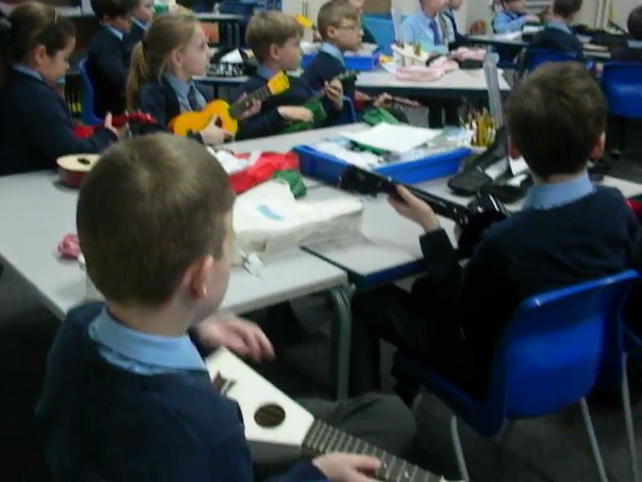 This week we have been enjoying our ukulele lesson with Mr Waller, here is a little video of an upcoming summer concert that we will be playing at. 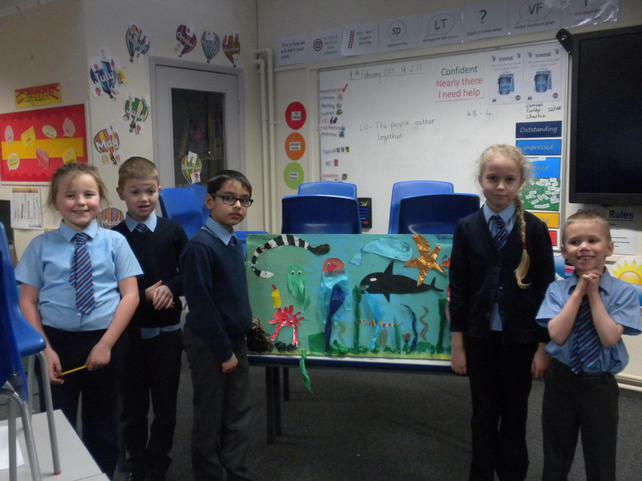 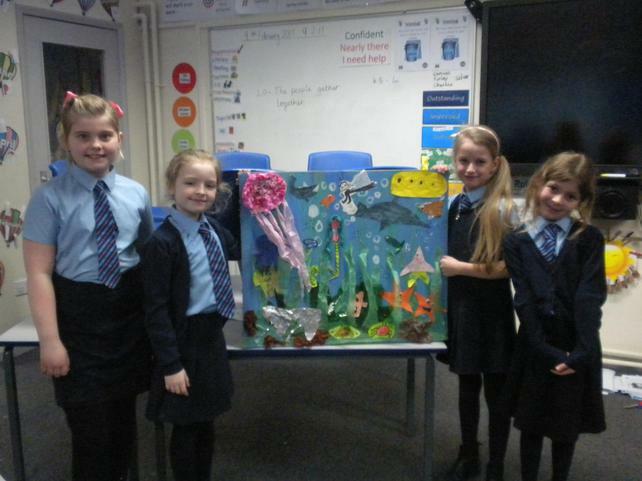 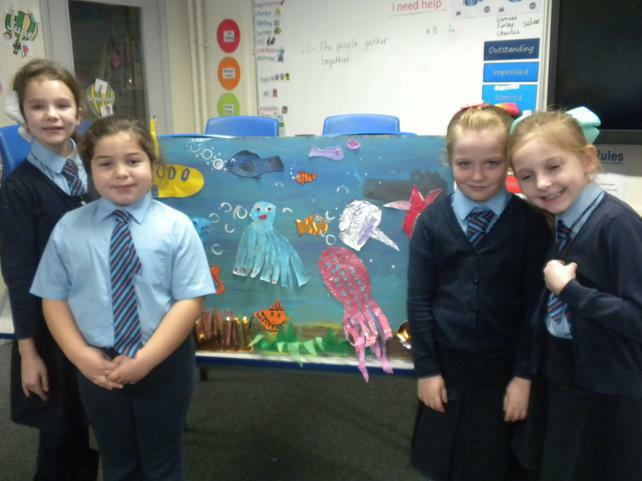 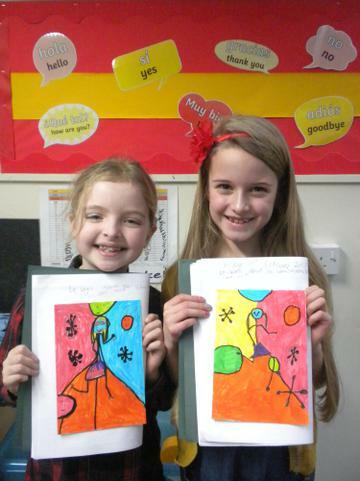 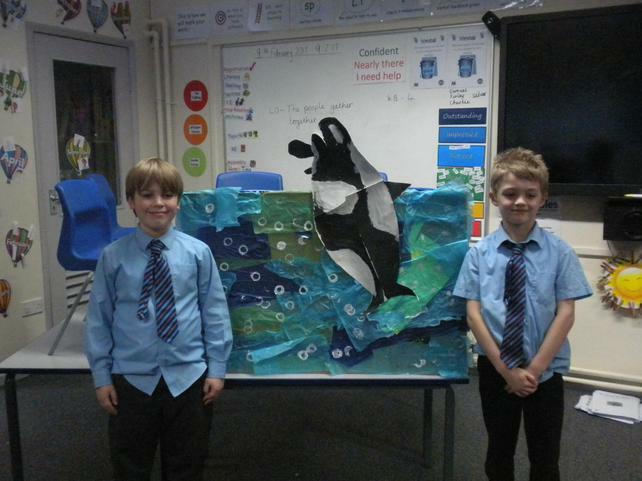 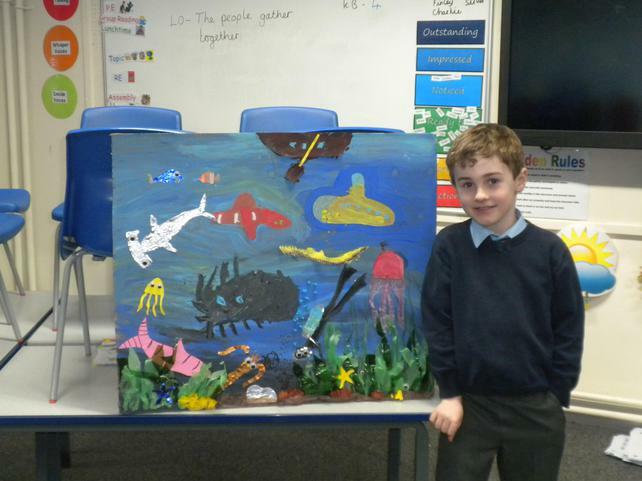 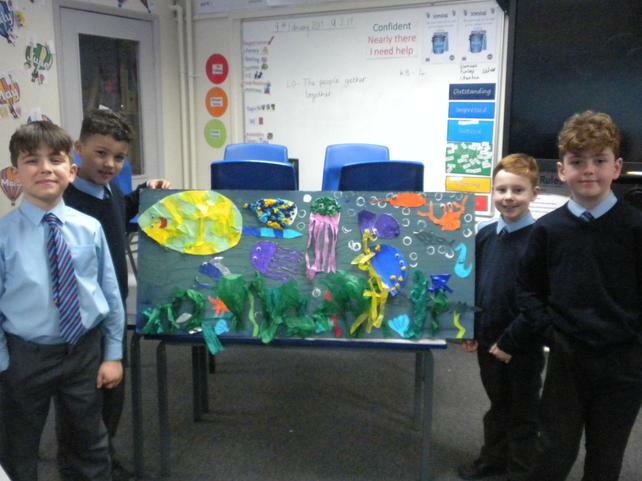 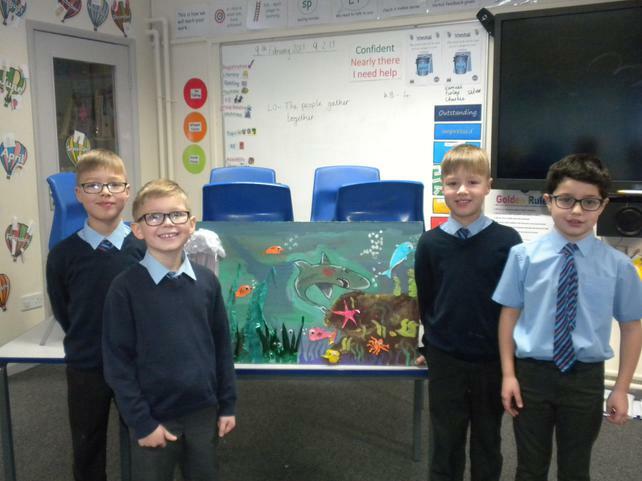 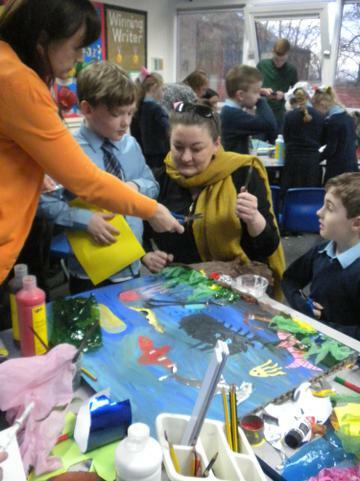 We had a wonderful parents afternoon and produced some amazing work, look at our fantastic gallery! 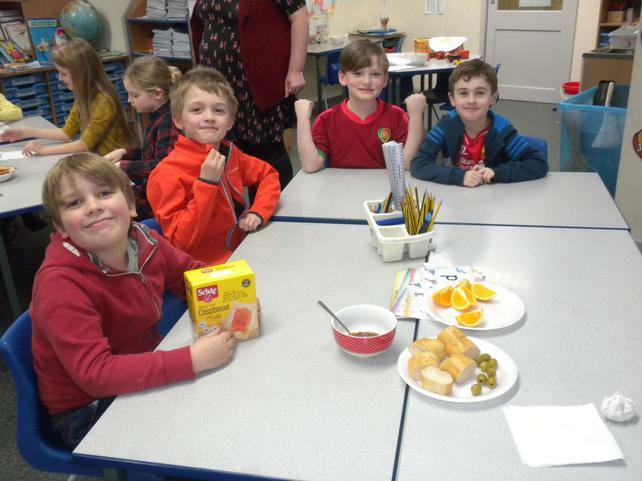 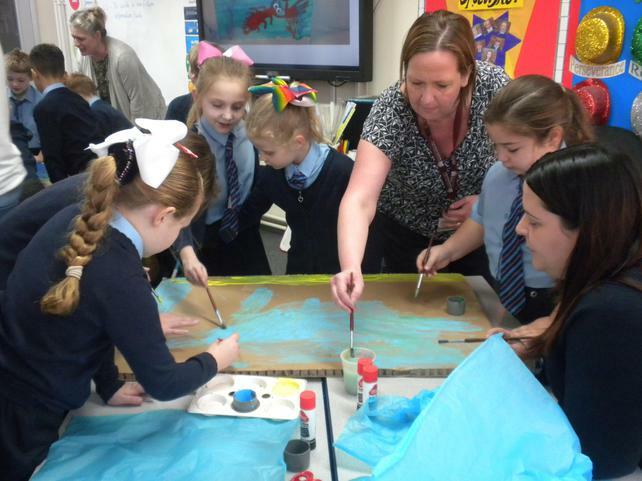 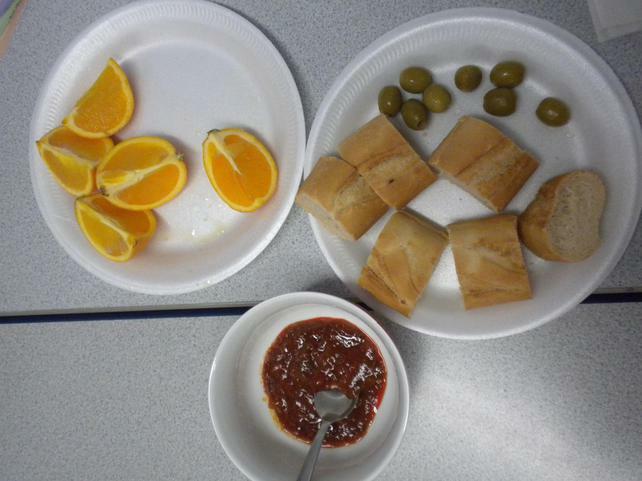 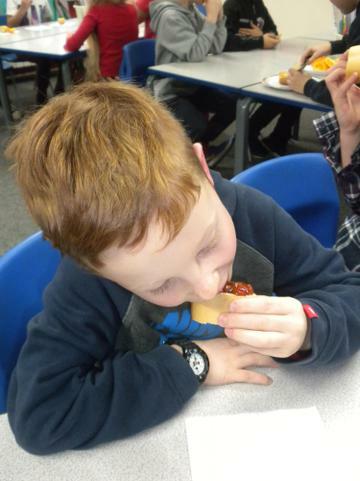 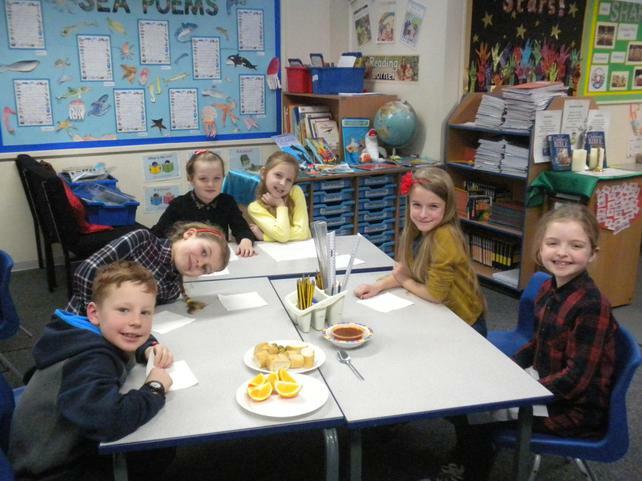 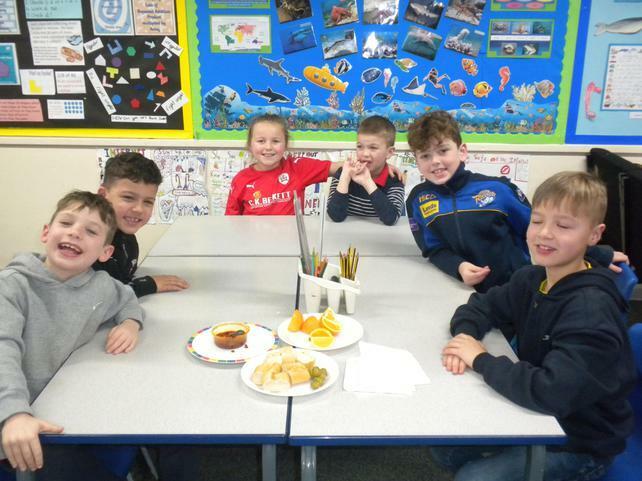 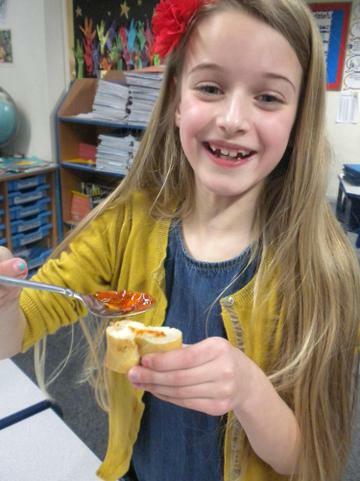 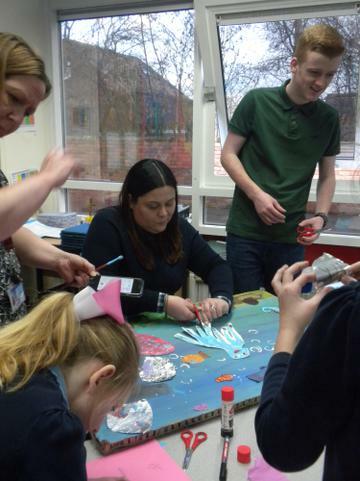 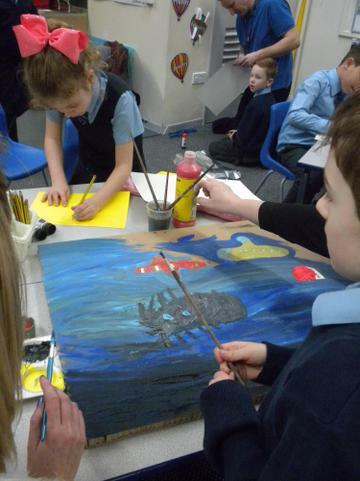 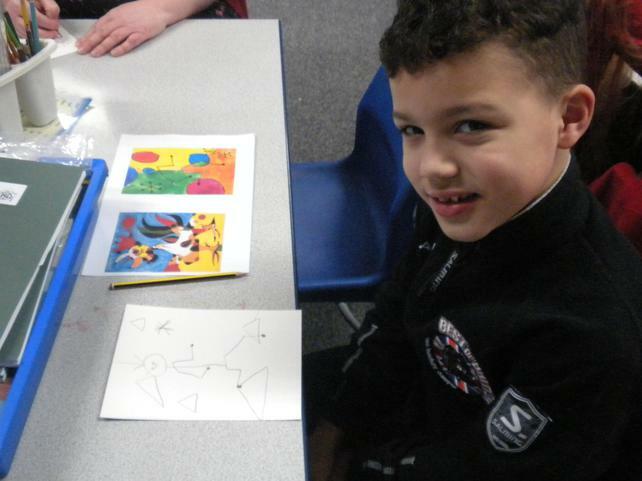 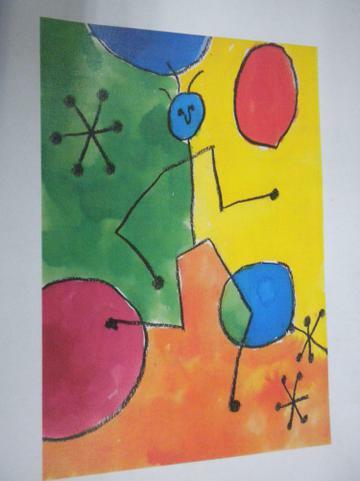 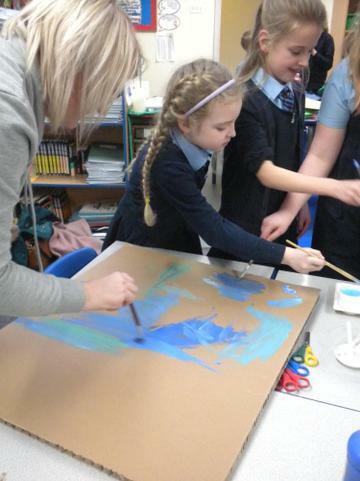 The children also thoroughly enjoyed 'Spanish Day' where we tasted tapas, learnt about the Spanish flag and created work in the style of the Spanish artist Joan Miro. 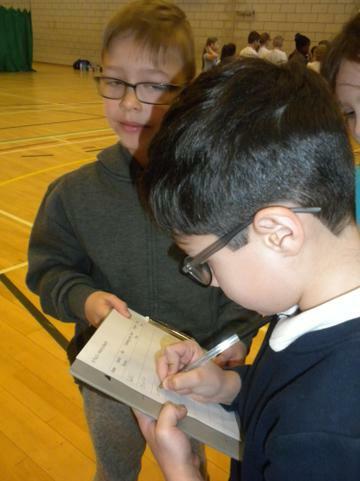 The whole school have been learning all about Judaism today and in class 3 we have discovered that the synagogue is a special place for the Jewish family. 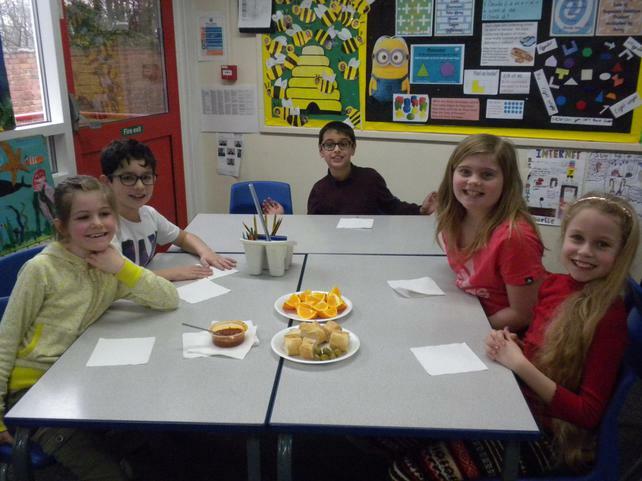 We have looked at different synagogues, watched short films about the life of a Jewish family, understood the importance of the Torah and we also had a little cake and red wine (non-alcoholic!) 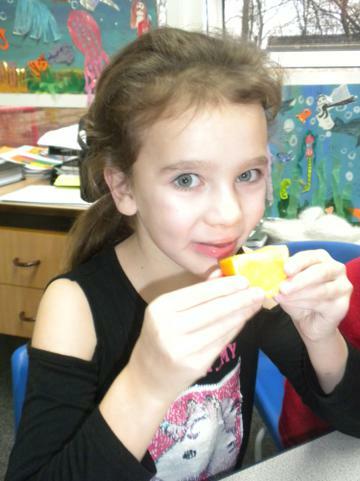 while listening to the Kiddush, which means blessing. 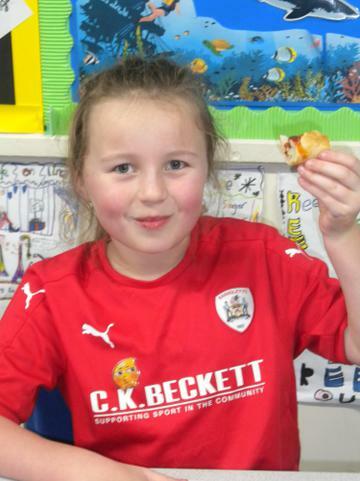 We had a visitor in class 3 today who explained all about fire safety and how we can keep ourselves safe. 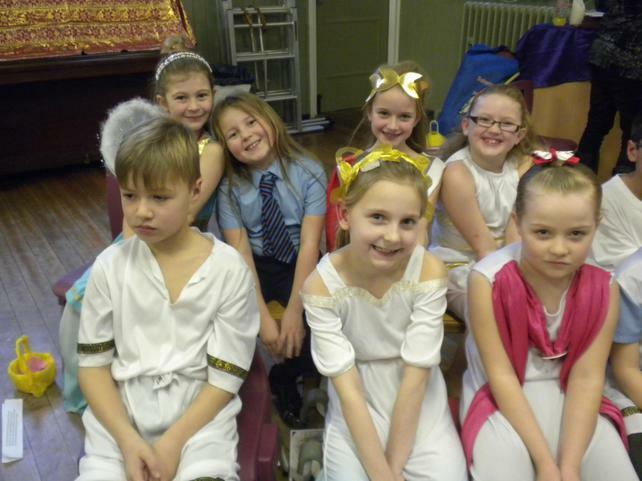 Well done class 3 for fantastic listening and showing enthusiasm. 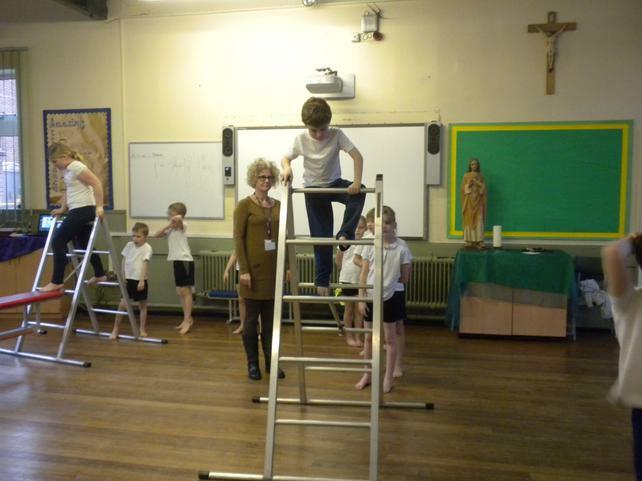 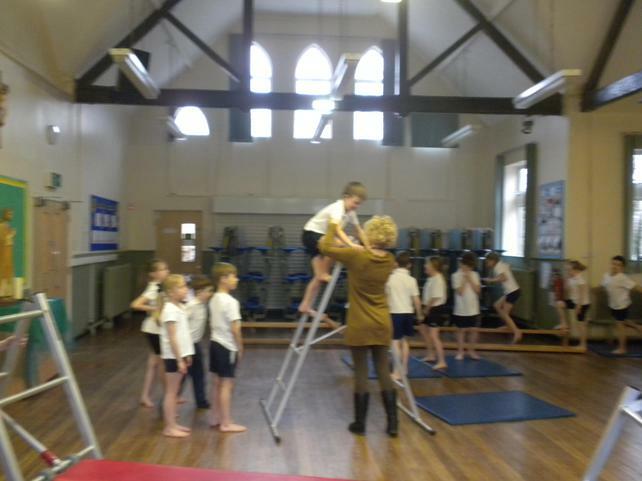 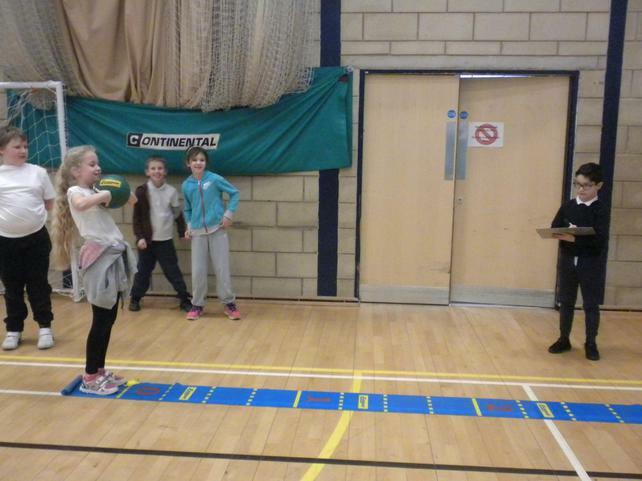 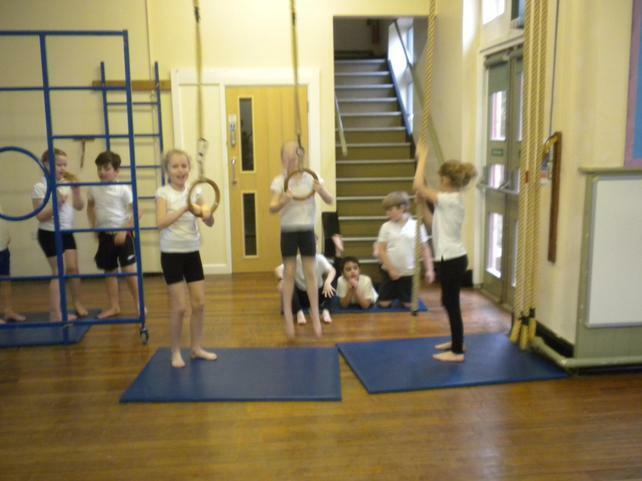 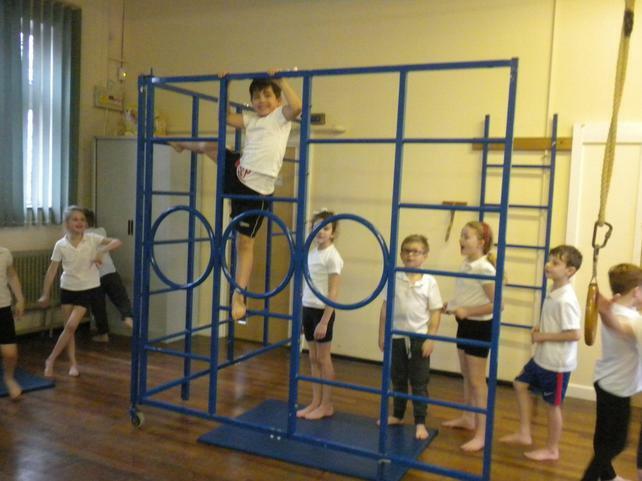 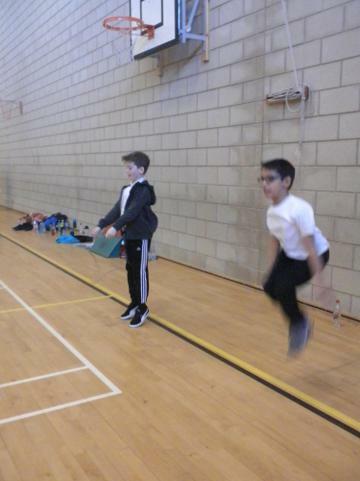 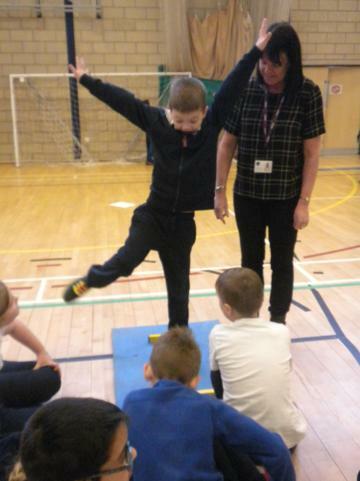 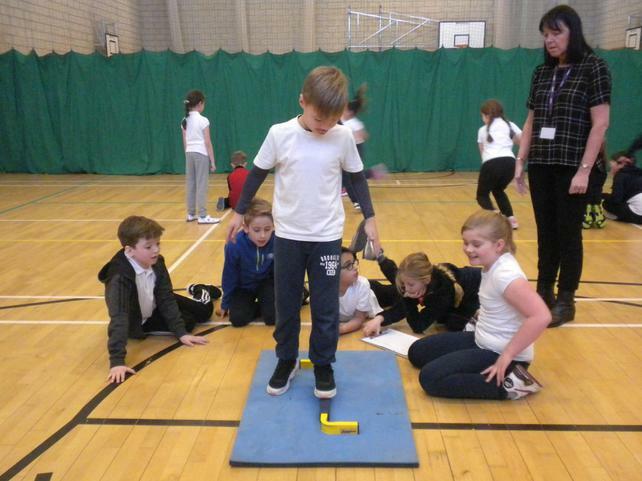 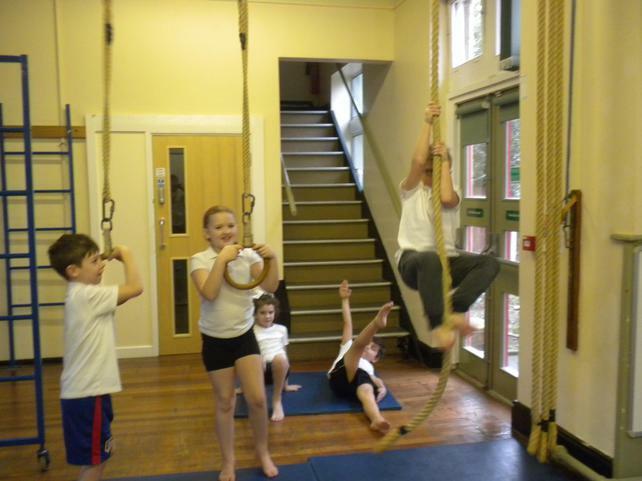 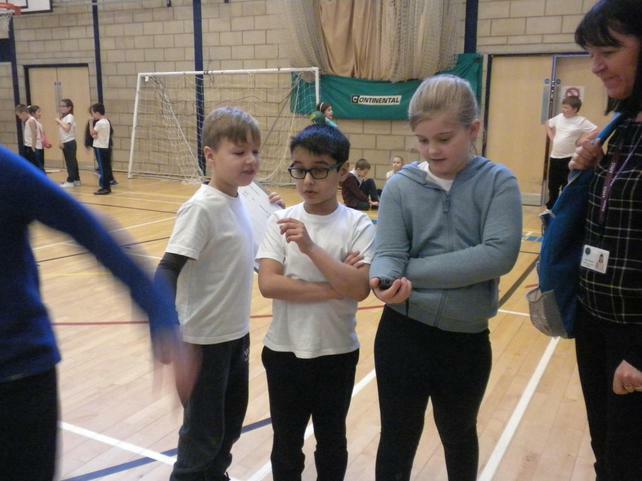 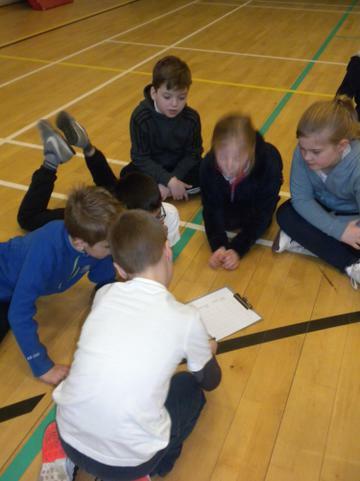 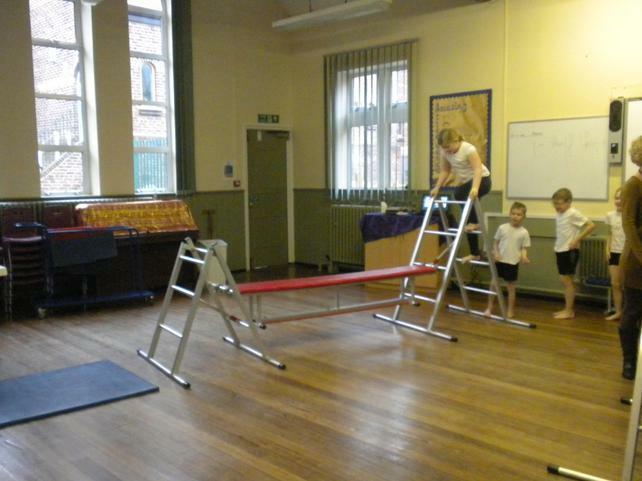 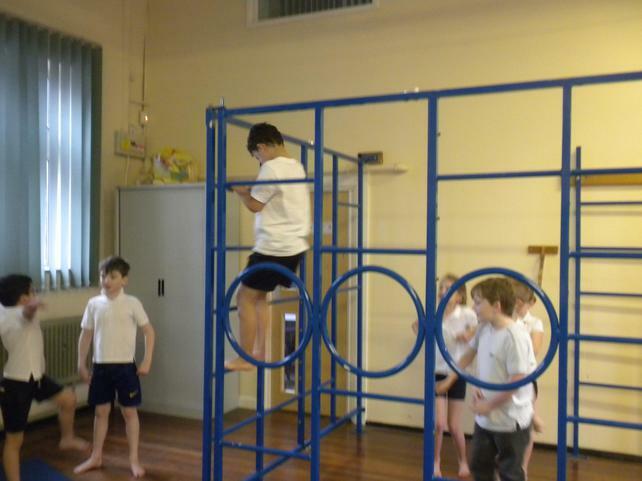 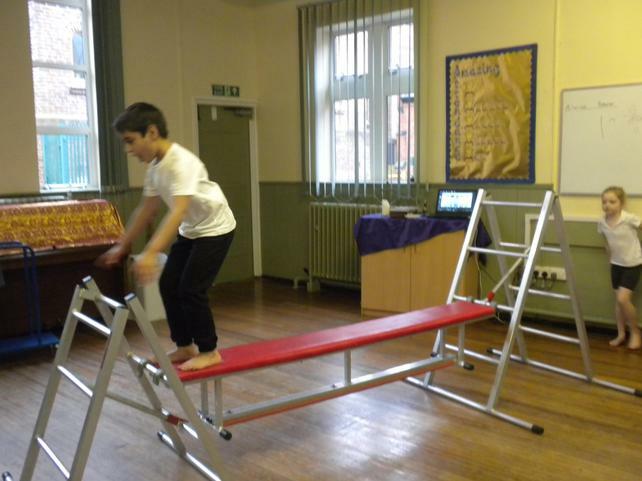 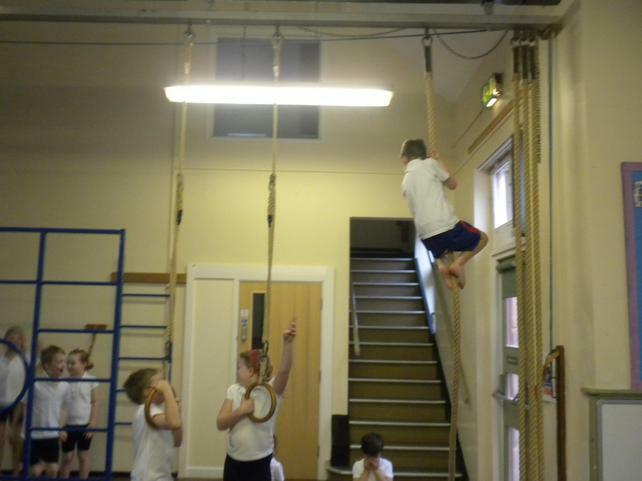 In PE this week the class have been using the apparatus confidently and trying out different kinds of balances with Mrs Newel. 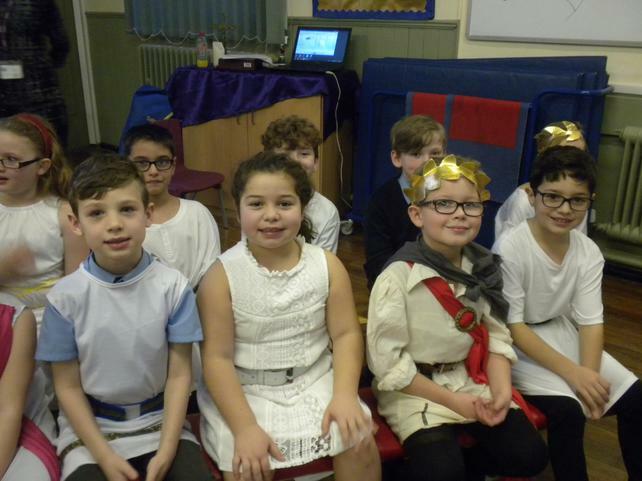 Well done class 3, you put on a wonderful parents assembly today. 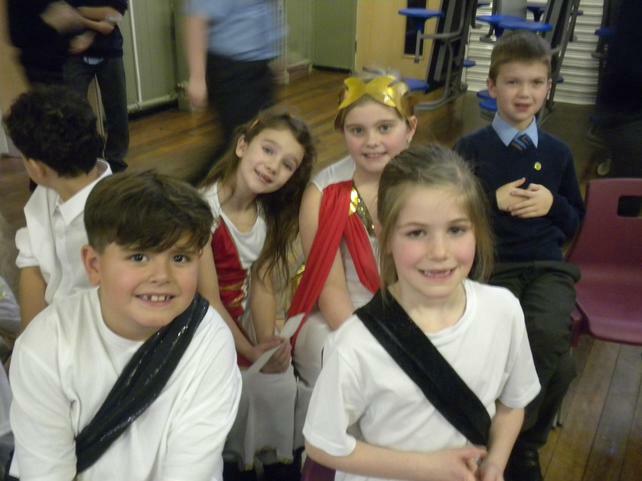 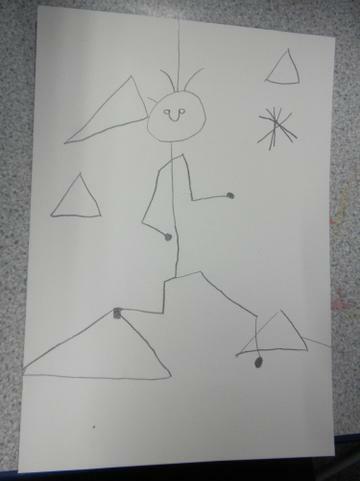 Everyone enjoyed your rendition of Pandora's Box and I'm sure your parents and carers did too! 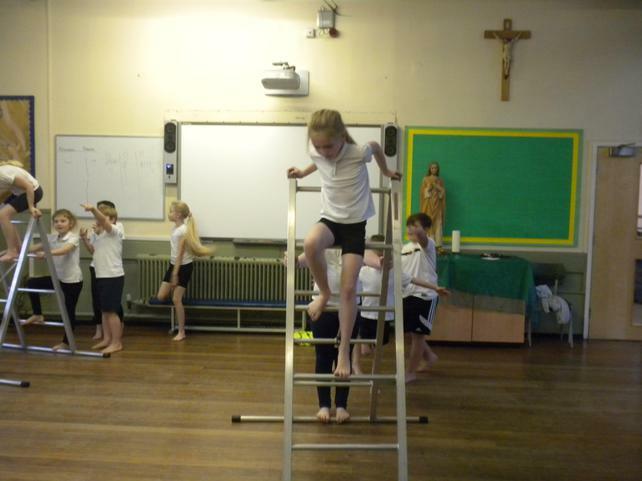 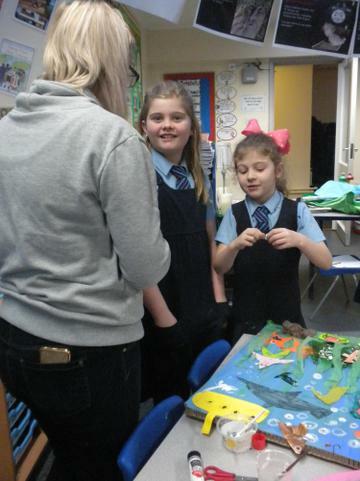 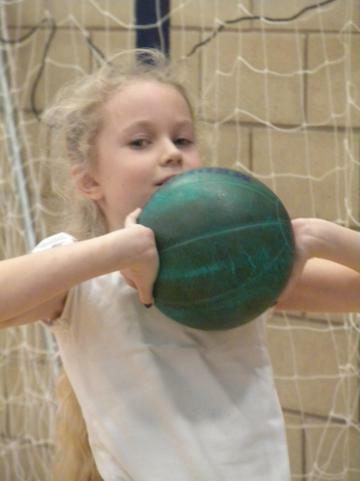 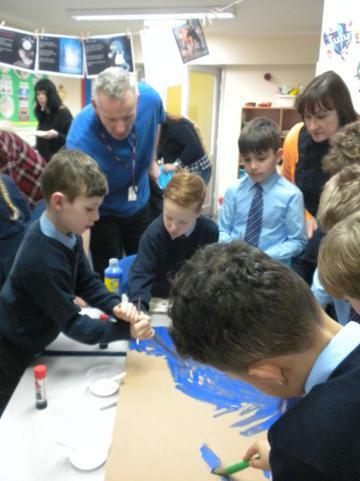 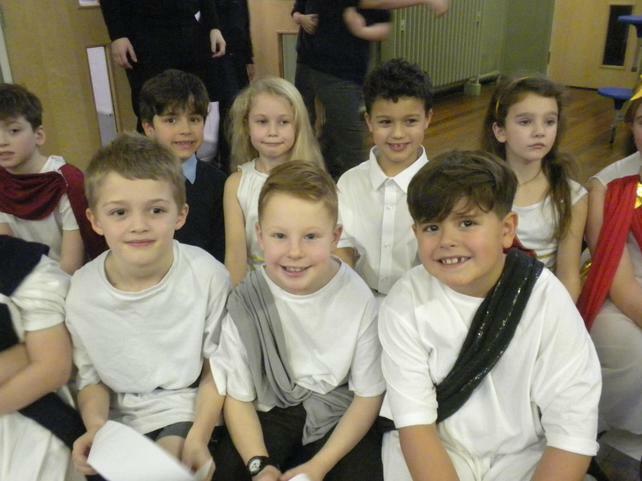 Year 4 had a wonderful day this week when they went to visit St. Pius. 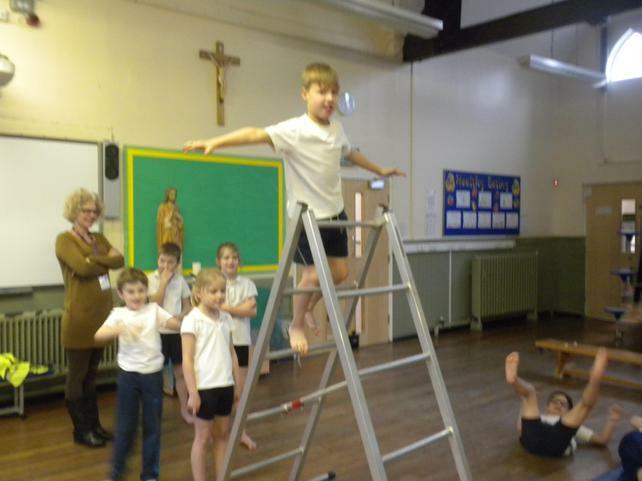 We spent the morning doing mulitskills and in the afternoon we got to watch a matinee performance from the drama department. 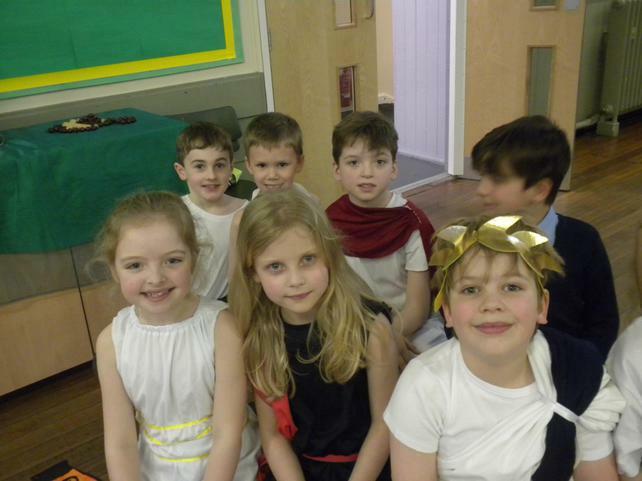 Well done class 3 for making a fantastic start to the Spring term! 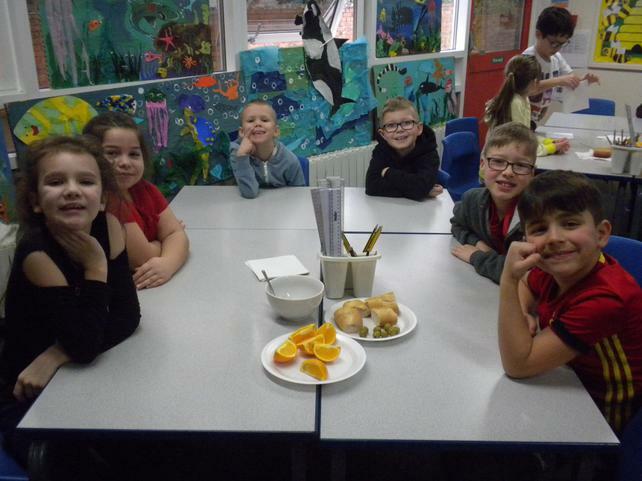 This week we have painted our Greek pots in a base coat of orange and hopefully they will be ready for the final design on Monday.